As HyperStudio’s other new resident Research Assistant, I’m finding it hard to believe that I’m nearly one fourth of the way through my time here. I’ve worked so far on a number of interesting Digital Humanities projects exploring topics as varied as US foreign relations research and methods of collaborative annotation. And while all these assignments have been fascinating in their own way, the one that has commanded the majority of my attention and interest is our new interactive archive that explores the history of African American physicians. This project, tentatively titled Blacks in American Medicine (BAM), has been in development for years but is now beginning to take shape as an interactive online archive thanks to the possibilities provided by Digital Humanities tools and techniques. As with several of the other projects here, BAM makes use of digital tools to tell stories that have been left untold for too long. BAM has been in development since the mid 1980’s when Pulitzer Prize Finalist author, Kenneth Manning, undertook the herculean task of aggregating the biographical records of African Americans in medicine from 1860-1980. With the help of his colleague and fellow researcher, Philip Alexander, Ken set out to create a nearly comprehensive list of black American medical practitioners to not only make research about this community less arduous for scholars but also to test traditional narratives about African American communities in the United States. 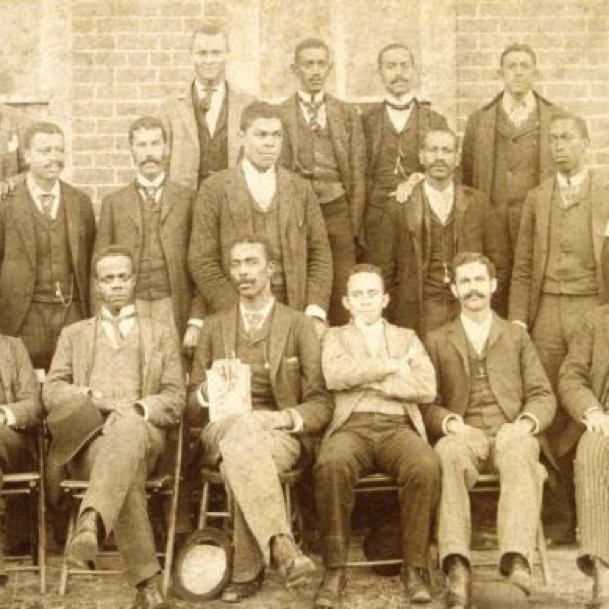 Over the years, this team built up an impressive collection of biographical records for over 23,000 African American doctors. These records were collected through the careful combing of academic, medical and professional directories. Once a record was found, they were then stored in a digital database with the aim of one day making this content available to a wider audience. Each of these mini-biographies includes personal, geographic, academic, professional and other information about doctors that helps shed light on this unexplored corner of American history. While searching for these biographical records, Ken and Philip also set about gathering documents associated with these doctors. Correspondence, reports, surveys, diaries, autobiographies, articles and other content collected from years of archival research help flesh out aspects of these doctors’ lives and allow readers to understand the complex situations and challenges that these doctors faced. In my many hours spent searching through the archive, I’ve come across hundreds of documents that provide a window into the history of the black experience in America. One that continually comes to my mind is a letter written by Dr. S Clifford Boston to his alma mater, the University of Pennsylvania in 1919. In this letter, Dr. Clifford politely asks the General Alumni Catalogue to “kindly strike out the words ‘first colored graduate in Biology [sic], as I find it to be a disadvantage to me professionally, as I am not regarded as a colored in my present location.” This letter is an important artifact not only because it provides evidence of the ways in which blacks “passed,” but because it elucidates some of the complex societal challenges that many African Americans in medicine faced. The formal, detached way in which this doctor asks to be dissociated from his heritage gives a brief glimpse into the systemic racism and segregation that blacks of this era faced. These types of first-hand documents provide a chance to add nuance to traditional histories of the black experience in America that is too often told in large, overly simplistic narratives. These unique stories in combination with our massive amounts of standardized, biographical information create a unique archive that allows for layers of interaction. By incorporating both a focused study into the history of specific physicians and a broader analysis of the trends within the African American medical community, this trove of content highlights untold chapters in the vast history of the black experience. With an eye towards the dissemination of this rare and important content, Ken and his team recently began working with HyperStudio to take better advantage of the affordances of digital humanities. While still in the initial stages of formalizing the structure of the platform, we are working on a number of intersectional methods to display this trove of content. As with most of HyperStudio’s archival projects, content will be discoverable by both scholars as well as more casual audiences. To do this, documents and records will be encoded using established metadata standards such as Dublin Core, allowing us to connect our primary materials and biographical records to other, relevant archives. We’re also planning on integrating our Repertoire faceted browser, which allows for both a targeted search given a specific criteria and the ability to explore freely documents that interest the user. Additionally, this project will feature our Chronos Timeline, which dynamically uses events and occurrences to present historical data. We also plan on incorporating geographic, visual and biographical features, as well as a storytelling tool that will enable users to actively engage with our content. As I round the corner on my first semester at at MIT, I can’t help but be excited by this project. Too often existing narratives about marginalized groups go untested and unchallenged. By providing an multi-faceted interface and rich, previously inaccessible content, we’re creating a tool that will help interrogate these traditional views of African American history. For more information on the project as it develops follow us here on the blog.